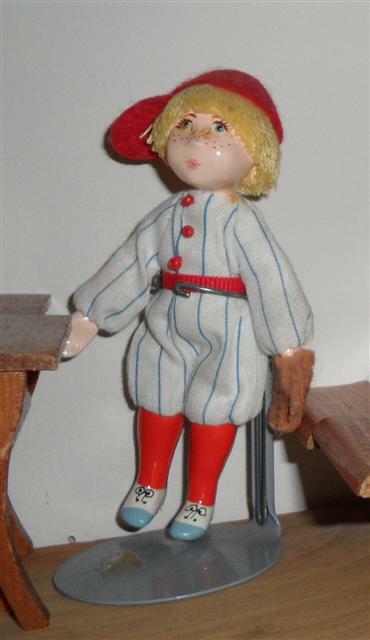 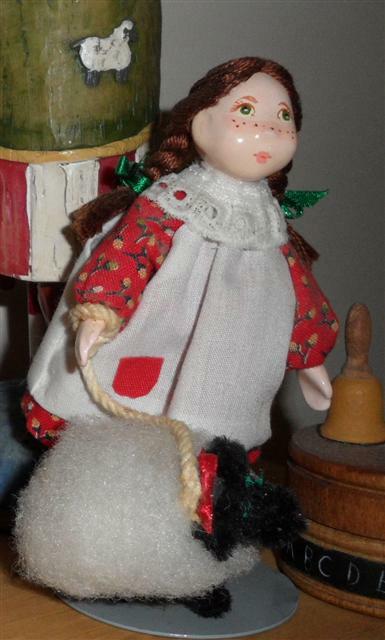 These charming German dolls came with a Puppenscheule set. 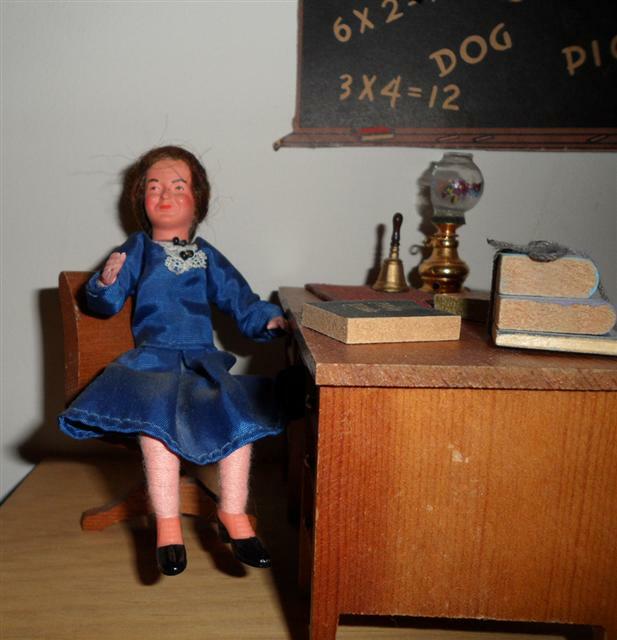 Caco Teacher with metal feet sitting at Strombecker teacher desk. 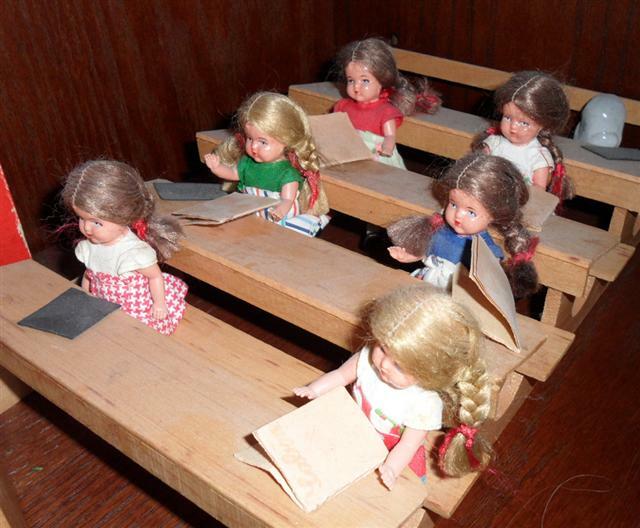 The desk was part of the Strombecker school room. 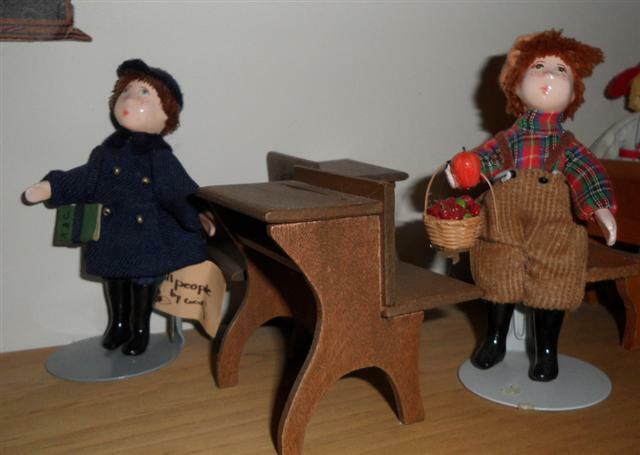 Her school students are "Small People by Cecily/"